While creating a new campaign you may face the problem what kind of content it should include. Our tip? Using custom fields! 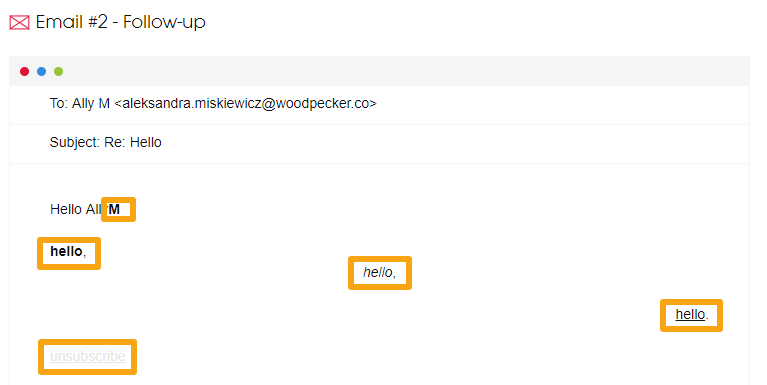 Custom fields - or 'Snippets', as we call them, give your message a human touch and let you personalize your emails. Find out more about them on our blog. Use bold, italic, or underline to change the look of your copy. 3. 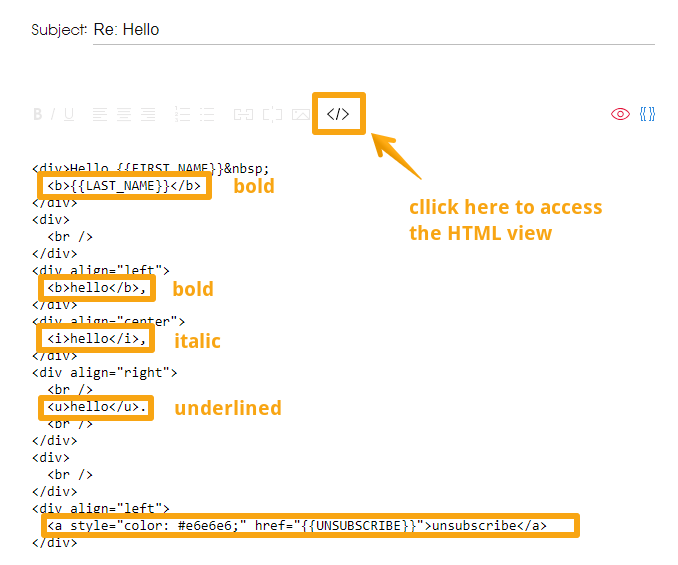 Use HTML to style it, eg. <b> for bold, <i> for italic, <u> for underlined text. 4. Don't forget to close your tag </>! If you'd like to learn more about our unsubscribe link, head over here to read on How to include the opt-out in your campaign and How to use GDPR encryption and unsubscribe. Before you hit the SEND button, preview your campaign to check if all of the custom fields are in the right place. When trying to send your campaign to prospects who are missing the snippets which you included in your copy, you may notice the tab TO-CHECK marked with red colour. Please add the missing fields and update your prospects data to send the rest of your emails. Wanna learn more about the benefits of using custom fields and how it helps to deliver your emails? Have a look here!